Bookmark this page and check it often for the latest travel, economic development, and Chamber of Commerce news and announcements in Port Wentworth, Georgia. 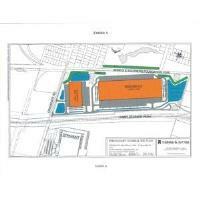 PORT WENTWORTH, GA – October 26, 2018 –The Port Wentworth City Council on Thursday night voted unanimously to approve the rezoning of a parcel of land just south of the Crossgate Road site that already is home to Dynacraft. The move will allow the Stravinski Development Group, LLC to move forward with Phase 2 of a three-phase project that, eventually, will encompass about 200 acres. The groundbreaking on Dynacraft – a supplier of bikes, scooters, electric and battery powered ride-ons – in early September marked the beginning of the project’s first phase. Although the Stravinski Development Group, LLC has not yet identified the company that likely will fill the Phase 2 space, Port Wentworth officials are confident the operation will prove lucrative for the community and its residents. Port Wentworth Chamber of Commerce President and CEO Trisha Growe was pleased that the council expressed support for the project through its vote. Steve Brock, director of sales for the California-based Stravinski Development Group, oversaw the development of Phase 1 and is happy to see the project will be able to move forward as planned. His company was first drawn to the site years ago thanks to its location and geography. “We couldn’t find any place in America where we could replicate that property. It’s within a mile of the port, the land is flat, the buyer gets good use out of the land purchased because there’s a good yield on the square footage of land bought vs the square footage of building you could put on it. It’s all those little intangibles,” Brock said. Because his employer was fortunate to strike a deal on the property, Brock said they’ve planned very carefully to be good community stewards and add to the aesthetic value of the area. Port Wentworth City Council Member Shari Dyal was glad to see her colleagues give the project a vote of confidence. She’s eager to see this development and others like it call Port Wentworth home. Now that the second phase of the project has been granted the go-ahead, Brock doesn’t think it’ll take long before his crews are firing on all cylinders. For more information about the Port Wentworth Chamber of Commerce, please visit www.visitportwentworth.com or call 912-965-1999. For media inquiries, please contact Hollie Barnidge at hollie@lesleyfrancispr.com or 912-272-8651 or Lesley Francis at lesley@lesleyfrancispr.com or 912-429-3950 or the team at 912-417-LFPR (5377).